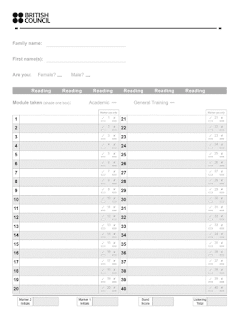 IELTS academic reading test is the second part of the IELTS exam, and it takes 1 hour (60 minutes) to complete all 3 sections of the IELTS reading test. It usually consists of three separate parts. 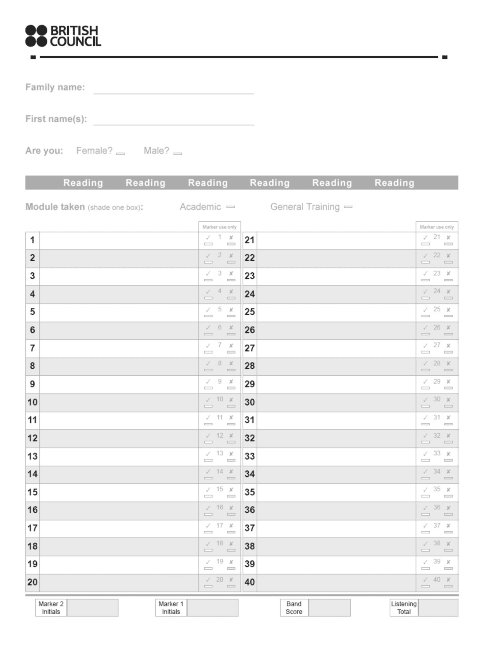 There is a total of 40 questions in the IELTS reading test. Each question carries one mark. Though you can mark and write on the Question Paper, you must write your answers on the answer sheet, and be aware that there is no extra time is given for transferring your answers from the test booklet to the Reading Answer Sheet. The academic reading test and general reading test are graded to the same level. However, because the texts in the academic reading test are more challenging overall than those in the general reading test, more questions need to be answered carefully on a general reading test to receive the same grade.